The Onion Field is a 1973 nonfiction book by Joseph Wambaugh, a sergeant for the Los Angeles Police Department, chronicling the kidnapping of two plainclothes LAPD officers by a pair of criminals during a traffic stop and the subsequent murder of one of the officers. 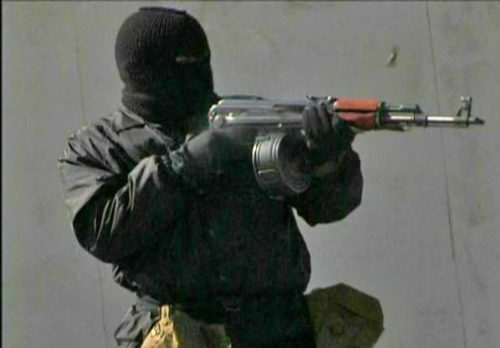 The North Hollywood shootout was a confrontation between two heavily armed and armored bank robbers, Larry Phillips Jr. and Emil Mătăsăreanu, and members of the Los Angeles Police Department (LAPD) in the North Hollywood district of Los Angeles, California, on February 28, 1997. 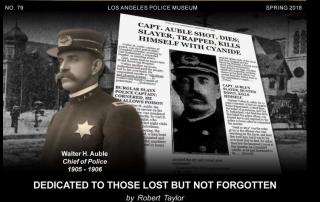 A chief of police is the title given to an appointed official or an elected one in the chain of command of a police department, particularly in North America. 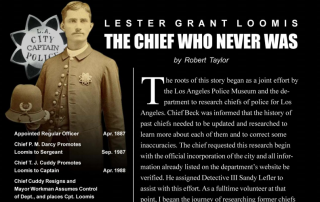 A police chief is appointed by and answerable to a national or local government, with the main exception being elected sheriffs in the United States. 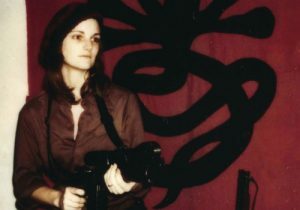 The United Federated Forces of the Symbionese Liberation Army (SLA) was an American left-wing militant organization active between 1973 and 1975 that considered itself a vanguard army. 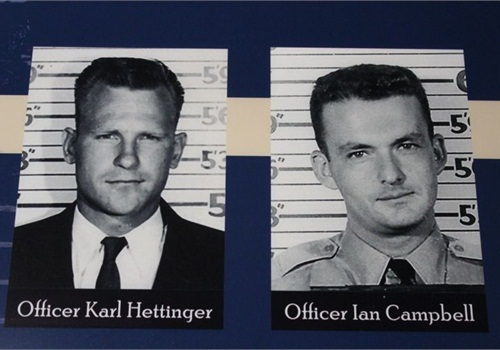 The group committed bank robberies, two murders, and other acts of violence. HOURS: Tuesday – Friday, 10 a.m. – 4 p.m.; 3rd Saturday of the month, 9 a.m. – 3 p.m. 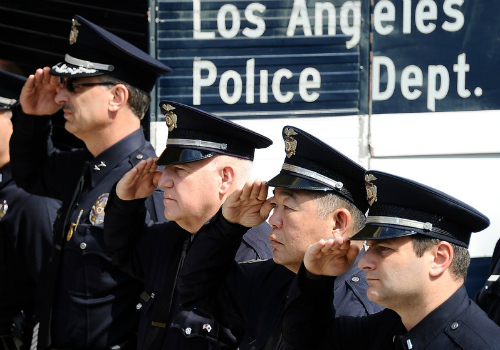 The Los Angeles Police Museum is the nation’s preeminent museum dedicated to exploring and sharing the rich history of the Los Angeles Police Department (LAPD) through engaging exibits and rare timeless artifacts. 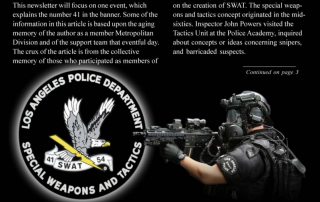 Founded in 2001, it is our mission to collect, preserve, exhibit, and interpret the history of one of the most influential police departments in the nation. 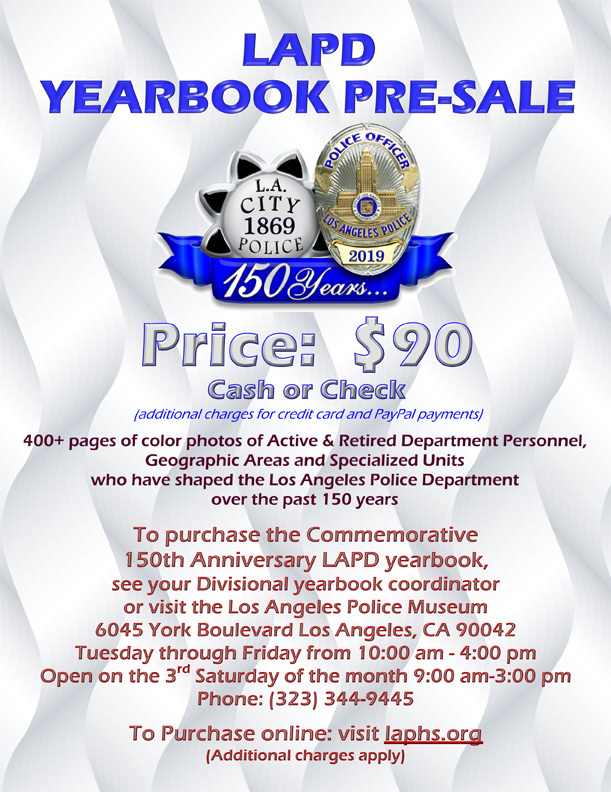 Celebrate the LAPD's 150th Anniversary By Ordering YourAnniversary Yearbook today! 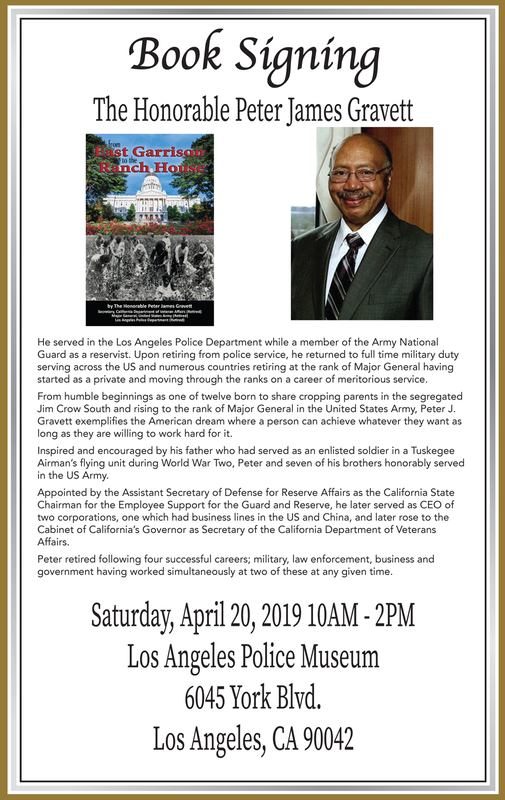 Explore more than 400 pages filled with color photography of LAPD personnel, geographic areas, specialized units, and a roll call of all living retirees who have shaped the Los Angeles Police Department over the last 150 years. Add your name to the memorial. Contribute by donating money or an artifact. Join our community end enjoy special benefits. 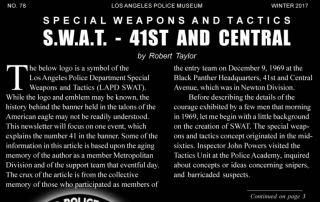 Read the publication of the Los Angeles Police Museum.